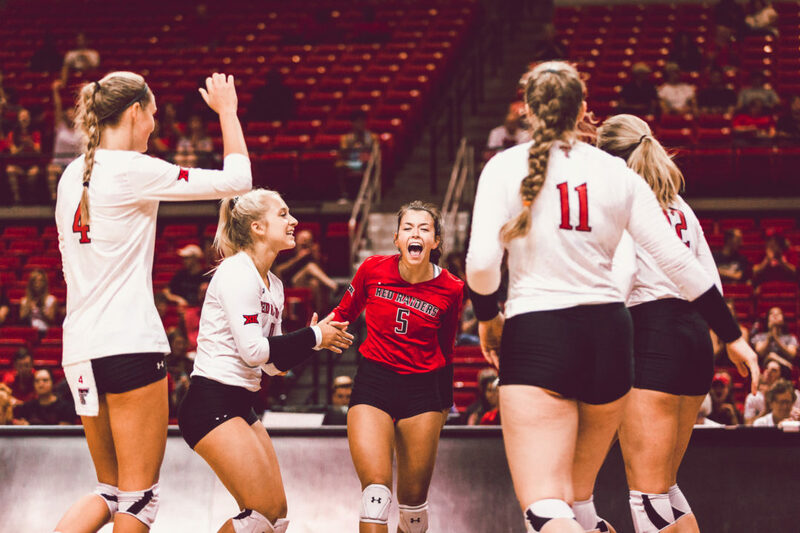 Texas Tech extended its win streak to 7-straight matches with a 4-set victory against West Virginia Saturday. The Lady Raiders are 2-0 in the Big 12 for the first time since 2000 following the win, while the Mountaineers fall to 0-2. Texas Tech notched a .336 hitting percentage, its highest in a Big 12 match since 2002. Our highest hit% in a Big 12 match since 2002. Kansas came out on top of a block-fest, downing TCU in a 4-set battle on Saturday in Lawrence, Kan. The Jayhawks held the edge on the block (16-15) and in attack percentage (.138 to .113) to earn the win. Kansas, which is riding a 4-match win streak, has defeated the Horned Frogs in 7 consecutive matchups and owns a 12-2 lead in the all-time series against TCU. The Jayhawks have won 4 Big 12 openers in a row. Behind a school record 39-kill performance by Yossiana Pressley, 12th-ranked Baylor earned its 3rd-straight win over RV Iowa State in Ames, Iowa, topping the Cyclones in 5 sets. The Lady Bears and Cyclones each went 1-1 in Week 1 of Big 12 play. Wednesday, Sept. 26 Baylor at Texas Austin, Texas 8 p.m.
Kansas State at West Virginia Morgantown, W.Va. 8 p.m.
Kansas at Oklahoma Norman, Okla. 9 p.m.